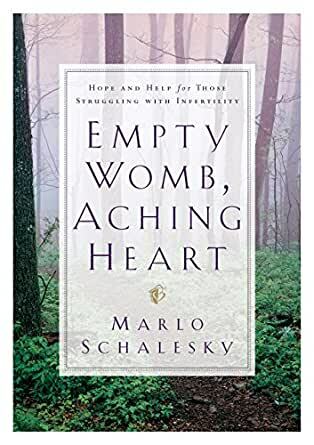 Purchased in a moment of desperation and longing for support from others who understand the journey of infertility, this book sat on my kindle for a while before I started reading it. I eventually came to feel God urging me, strongly calling out to me, nagging at my heart to just READ. THE. BOOK. So I did, and I am so, so glad. Each tale tells a different story, touching on the countless nuances and emotions of infertility. Not all stories end as we hope ours will -- in pregnancy -- but all do conclude with the narrator experiencing a deep message about God's love and purpose for their life, that "aha" moment, if you will. I also took away bits of advice from reading this book that I already have put into practice. I don't know where my infertility journey will go from here, but I feel so grateful for the spiritual growth, affirmation and comfort I experienced as a result of reading these stories. The book was more faith based than I expected. The first half was still helpful for me and I'm glad I read it. The second half was much more faith based and so for me...not as helpful. But I did appreciate that there were stories from the man's perspective as well. We tend to forget it might be hard for them too. Overall, I'd recommend it. For someone suffering with infertility, I was looking for anything and everything to help me cope with the fact that I will likely never have a child of my own. This book was the perfect read. It was full of stories and life lessons on how others have coped with their own infertility. The words in this book have helped me to learn to deal with the things that I am going through. It is good to hear advice from people who are or have gone through similar things. The words in this book have helped me in ways that one could not imagine. 5.0 out of 5 starsFor anyone waiting on children!!! We waited for 9 years for children. Praying. Waiting. Hurting. Waiting. Much of our identity was lost in the barrenness. This book was a life-changer. We got it year six, and wished we had year one. It answered and a lot of questions. The Lord used it to help us understand that we are a family with or without children. We didn't have to wait on life because we were waiting on children. We bought this for a couple who wears the shoes we wore for 9 years. We know the Lord will use it greatly in their life to meet some needs only the barren can understand. Someone I had just met recommended this book to me. I downloaded a sample and was hooked! Finally, here was something supportive for people suffering through infertility. I was in a dark place after 4 years of not being able to get pregnant, and this book made me feel connected with people who shared the same feelings, hopes, and dreams as me. This book has also strengthened my relationship with God, and for that I will be forever grateful! I bought a copy of this book for my friend, who is also struggling through infertility and recommended it to my OBGYN! Thank you, thank you, thank you for this book!